7 Kids and Us: Kaskey Kids Sports Figurines! My son Joshua loves action figures, but he only likes smaller ones, he doesn't like the foot tall ones for some reason. 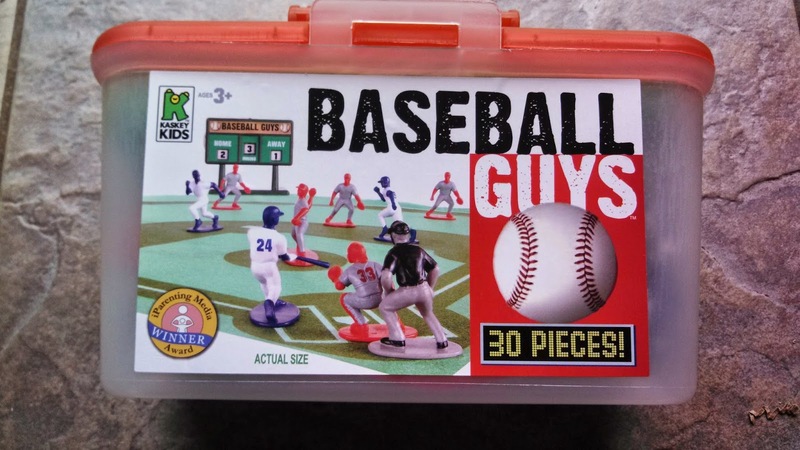 Kaskey Kids has cool assortment of sports figurines which he can choose from. I love these because they are a heavy duty plastic which don't break fast and provide hours of fun for Joshua. 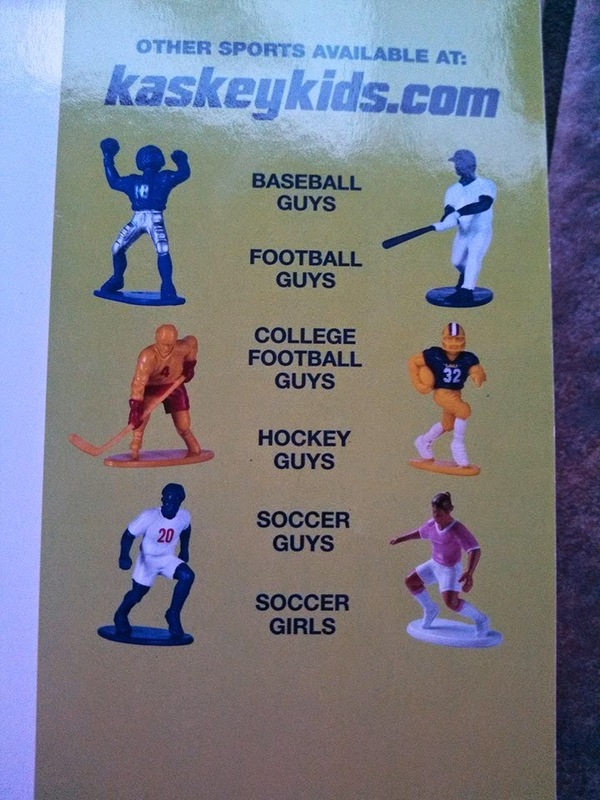 The Kaskey Kids sports figurines are about 2 inches in size. You can choose from Baseball, Basketball, Football, Soccer, Hockey and more. You can purchase the sports figurines in both totes like the one above for $24.99 or Mini sets like the Glow in the Dark for $14. There are even girl hockey players so you can have a battle of the sexes boy soccer vs girls soccer! How great is that! My son seriously plays hours on end lining up all his figurines and playing on the floor sometimes with his sister but often by himself. 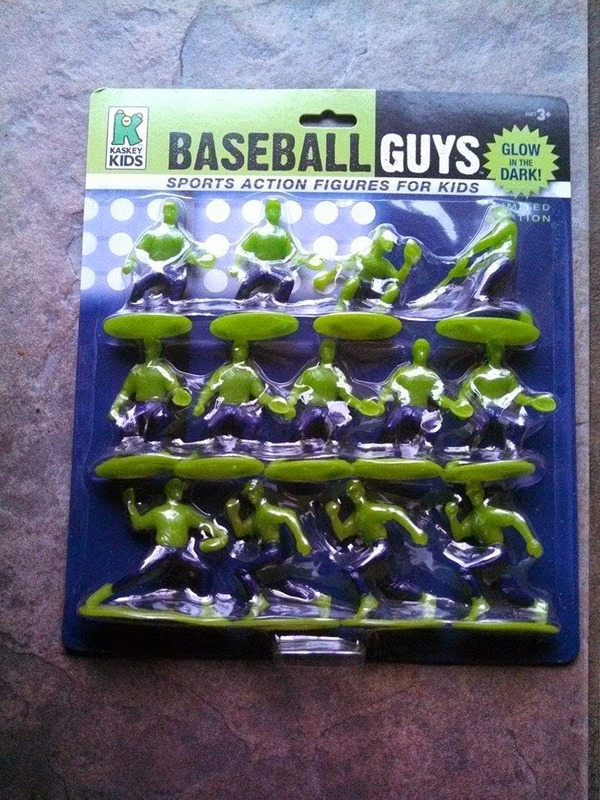 One of my favorite sets is the Glow in the Dark Baseball sports action figures, these are fun to play with when we start to settle down for the evening. Kaskey Kids are unlike anything you have played with before. First they are high quality plastic, making them last longer, second they come with everything! They come with field, goals, nets, balls anything in which to play. Third Kaskey Kids include instructions on how to place players (which the fields are marked, along with play in general. Kaskey Kids sports figurines are a great teaching tool while being able to have fun with your family. You can check out Kaskey Kids by clicking here and save 20% off your purchase with code Sports!